The goals of this study were to (1) describe the prevalence and correlates of patient-reported religious/spiritual (R/S) needs in outpatient oncology patients and (2) estimate the associations of R/S concerns with acceptance of an R/S intervention offered by phone. 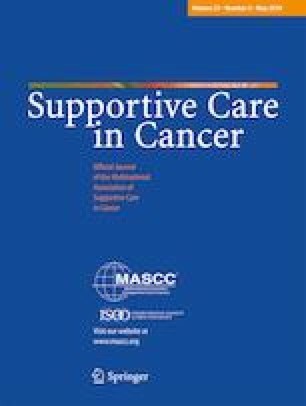 This was a retrospective analysis of data collected from distress screenings and spiritual care interventions at an outpatient cancer center from March 1, 2017 to May 9, 2017. Patients (n = 1249) used a tablet to self-report the following R/S concerns: spiritual or religious concern, isolation, struggle to find hope/meaning in life, concern for family, fear of death, shame/guilt, and doubts about faith. Patients were also screened for anxiety, depression, and distress. A chaplain contacted patients that reported one or more R/S concerns to offer R/S interventions via telephone or in person. Approximately one third (29.9%) of surveyed patients indicated at least one R/S need. Younger age, female gender, anxiety, depression, and distress were associated with indication of specific R/S concerns. Fear of death (OR 1.64 [1.02, 2.66], p = 0.043), struggle to find meaning/hope in life (OR 2.47 [1.39, 4.39], p = 0.002), and anxiety (p = 1.003) were associated with increased odds of intervention acceptance. Effective screening practices are needed for chaplains to prioritize patients most in need. This exploratory study suggests that screening for struggle to find meaning/hope in life, fear of death, and anxiety will help chaplains identify patients who have R/S concerns and will likely accept R/S interventions. Developing effective telehealth practices like this is an important direction for the field. We would like thank Dr. Declan Walsh, Beth York, and Angela Janssen-Keenan for their supervision and support, and Dr. George Fitchett for his guidance and recommendations. Authors have full control of primary data, and will allow the journal to review de-identified data upon request.